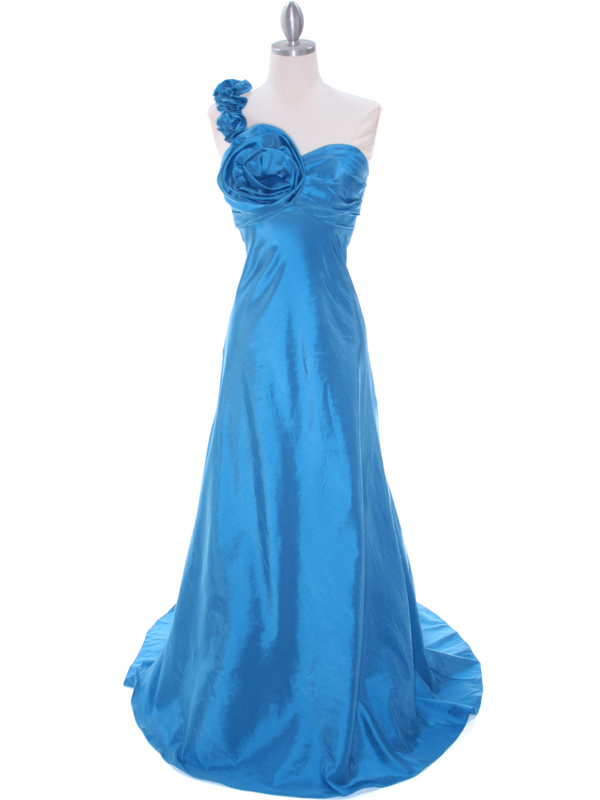 Indigo Blue Taffeta Rosette Prom Evening Dress | Sung Boutique L.A. 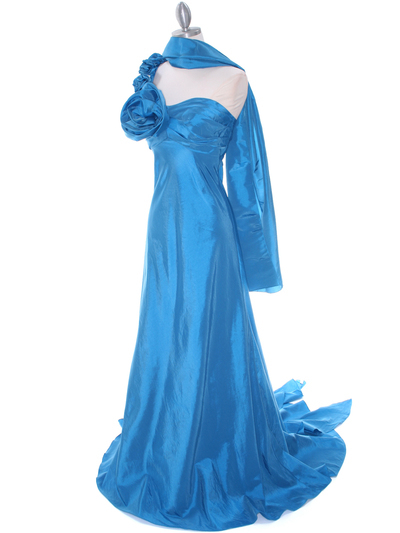 This beautiful and unique tafetta evening dress features a rosette one shoulder detailed with gems. 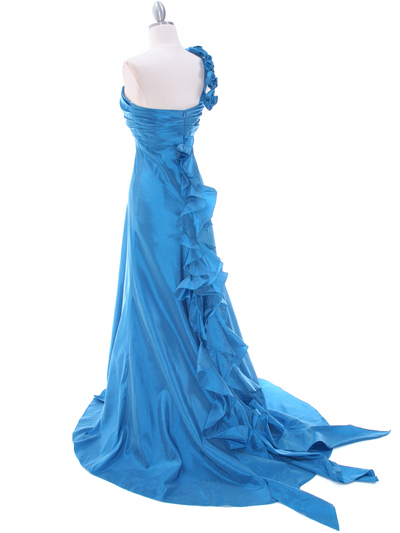 Oversize rosette adorns the bust and ruffled sectioned train finishes this fabulous look.